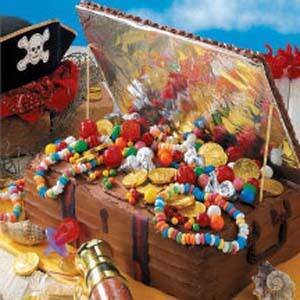 Thinking of a pirate themed party? I am loving this tresure chest cake topped with candy treasures from Taste of Home. You can see the recipe and how to make it here.